Fire Next Time fuse the pounding sound of folk rock with the pains of growing up and growing old on the prairies. The long dark winters in Northern Alberta have a way of tearing at your soul. 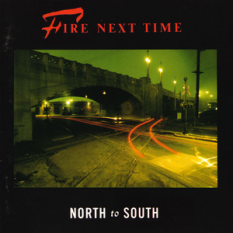 Fire Next Time provide the soundtrack to cold, desolate landscapes, dark prairie nights and whiskey fueled nights at the local honky tonk. Their catchy choruses will have the saddest sap singing along, happy to have company in their misery. Now, that isn't to say that the bearded bards come across as another dreary emo band. In fact, Fire Next Time are the perfect live band, singing songs along with the crowd, creating a genuine performance that contains all of the energy and religious fervor of a Southern revival. The most cynical attendee will leave feeling rejuvenated, all of their darkest sins absolved by the church of FNT. Fire Next Time was also the name of a protest band from the UK, who received air-play in the UK with their near-hit "Stay With Me Now". They released the album "North to South" in 1988. .